Well to quote the one and only Michael Buble (or depending on your age Bing Crosby! )…it’s beginning to look a lot like Christmas! Trees are up, presents are being purchased and kids are giddy with excitement! I love Christmas…love every part about it (well except tinsel – long story). I am not sure what Christmas is like for you, but I thought I would share what Christmas is like in my family. Christmas is a big deal in my family – always has been and always will be. Christmas time growing up was always a massive celebration. Some of my fondest memories are walking into my Nan’s house to see that she had decorated the entire interior of her home in tinsel. I kid you not – wall to wall tinsel…it was like walking into Santa’s wonderland. Then there were the Christmas Day treasure hunts that my Nan would organise for the whole family. She would hide gifts around the yard and then give us clues or activities that we had to complete in order to find the gifts. It was our Christmas Day highlight – we anticipated what crazy adventure she had prepared for us. She never disappointed and it was always a blast. They were the best times! I remember Christmas at my Grans house (my other gorgeous Grandma) it was all about the food. Food glorious food! My gran’s roast potatoes were famous – well famous in our family anyway! I am not sure if my brother or cousin holds the record but I believe someone ate 10 or 12 roast potatoes once? And then there was Pop’s plum pudding with lashings of custard and cream. I was never fond of Pop’s pudding growing up but now I love it. Pop still to this day makes plum puddings for all the family to enjoy. There was no shortage of food and certainly no shortage of fun as my extended family all came together…it was loud, there was always too much food & I loved it! My favourite part of present time at Grans was not about what my present might be, it was seeing what silly present my Aunty would buy for my Dad. I am not sure how it started, but this thing developed where my Dad and Aunty would always exchange the silliest & often bizarre gifts. I remember my Dad getting a hair piece off her one year (he’s bald) and then the gift that could never be outdone was the time my Aunty gave Dad a mouse – a real life, living & breathing mouse. The mouse was named Sabrina and she reluctantly became part of our family. Crazy family fun! My parents have taken the mantle from my Grandparents and now create the most wonderful Christmas experiences for us all. They do the lights – lot’s and lots of lights. There are decorations in every room of their house and my mum this year has put up 3 trees. And food – my Mum starts planning Christmas lunch a year in advance which is funny because we always have the same food. Every type of roast meat, every vegetable ever grown and lots of decadent desserts. In my own home we decorate early and have established our own fun family traditions. We love the festival of Christmas at our church. As a family we go to our community Carols By Candlelight services, we love giving gifts to children in need, we love sharing the joy with family & friends. We celebrate all of December! The love of Christmas has been passed down the generations and now my daughter plays Christmas carols year round and my youngest son is the Christmas light guy. I asked him the other day why doing lights was so important to him and his response flawed me. He said ever so simply that he wanted to spread joy to people and putting up lights helps spread joy because it makes people happy! Our Christmases were certainly memorable. Reading this it almost sounds perfect. Well of course there is no such thing as perfect. I just haven’t told you all the times there were family fights, financial stress, relationship breakdowns, sickness & loved ones no longer with us…yet in spite of our circumstances our family would always celebrate. It wasn’t the food or gifts we were celebrating – that was just how we celebrated. 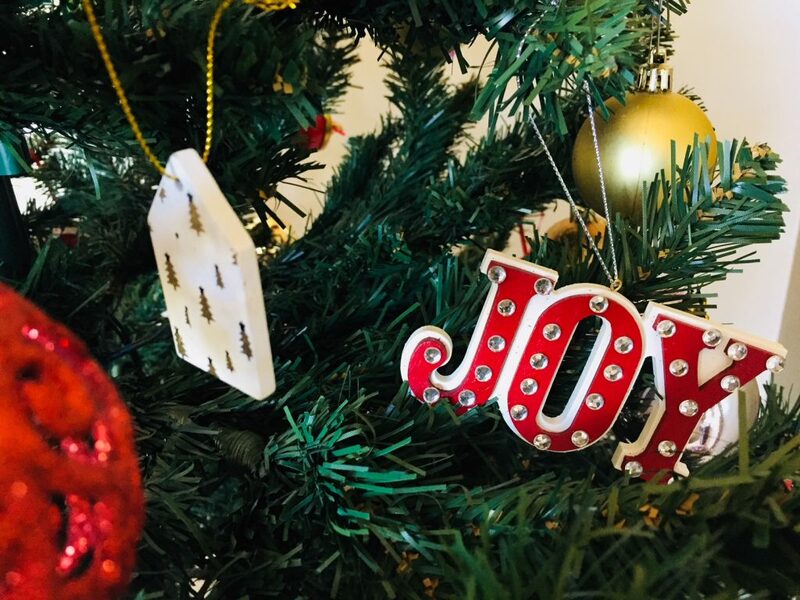 The reason we celebrated was because the gift of JOY was given to us through the birth of a baby…a saviour…His name is Jesus. He came to bring Love | Joy | Peace | Hope | Freedom and because our family knows that we need Him in our lives, we love to celebrate the birth of our saviour. Regardless of what your Christmases have been like or what you present circumstance is, can I encourage you to celebrate joy this Christmas. Celebrate hope this Christmas. Celebrate love this Christmas…because it has come to the world in the form of our saviour. Don’t celebrate the trimmings of Christmas: that will just bring stress. Instead celebrate the true meaning of Christmas: Jesus – He brings peace! I pray this Christmas will be memorable for you and your family. May it be full of love, peace, hope & JOY!